Episode 16: Jesus tells Peter that he gives him the keys to the kingdom of heaven. These words of Messiah have caused confusion and debate for almost two thousand years. Episode sixteen seeks to bring clarity to this controversy by examining the keys to the kingdom within their proper Jewish context. Viewers will discover that the keys to the kingdom are Jesus’ teachings about entering the kingdom and the revelation that he is the messiah. With these keys we can begin not only to prepare for the coming Messianic Era but we can begin walking in that kingdom right now. Like many people addressing a large audience, First Fruits of Zion teacher and author Toby Janicki starts out with a joke. Actually, in this case, he starts out by describing a joke: the classic joke we see in many comics of a person who has just died standing at the gates of Heaven waiting for “Saint Peter” to use his keys to open up the gates…or not. And I also say to you that you are Petros, and upon this rock I will build my community, and the gates of she’ol will not overpower it. I will give you the keys of the kingdom of Heaven, and all that you forbid on earth will be forbidden in heaven and all that you will permit on earth will be permitted in heaven. Before going on to discover what the “Kings of the Kingdom” are, Toby tells us why Jesus gave them to Peter. It was because Peter was the one who correctly identified Jesus as the Messiah that Jesus gave Peter the Keys to the Kingdom. But what are these keys or for that matter, what is The Kingdom of Heaven? Toby has told us in more than one prior episode that the phrases “Kingdom of Heaven” and “Kingdom of God” really mean the Messianic Age, the period of time when Messiah will rule, not only in Israel, but over the whole world. This is also our first clue. The scene quickly shifts to teacher and translator Aaron Eby in Israel who tells us about the word “Heaven” in Hebrew: Shamayim. It took me a few moments to realize that this segment has been in a previous episode of FFOZ TV. Aaron gave us this “word study” before. 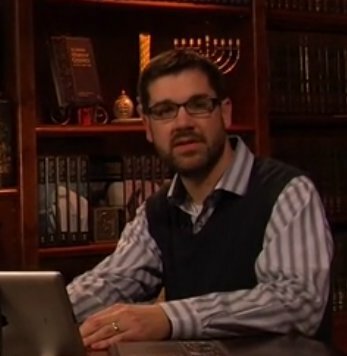 I can only guess that someone at FFOZ made the decision that repurposing the “Shamayim segment” fit the requirements for this episode as well as a past one, or something else happened that prevented a unique segment of Aaron teaching from Israel to be videotaped. The folks at FFOZ may also not be assuming everyone will be watching the episodes in order, and so all of the material that for me seems repeated or that comes across as a review, will be completely fresh and new to others. If Aaron’s teaching on “Shamayim” meaning “Heaven” and “Malkhut Shamayim” meaning “Kingdom of Heaven” is unfamiliar to you, watch the episode to get all of the details. Back in the studio with Toby, we continue to get a review of the meaning of Kingdom of Heaven meaning God’s reign on earth, as opposed to Heaven as God’s supernatural realm or the court of Heaven. 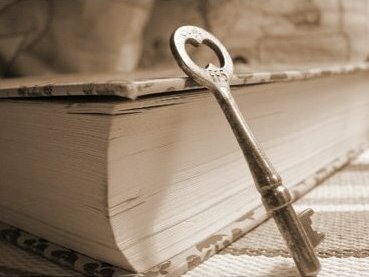 So if the Keys to the Kingdom mean the keys to the Messianic Age, is it possible to be “locked out,” so to speak and to need a set of keys in some sense in order to gain entry? In previous episodes such as Seek First the Kingdom, Toby certainly gave the impression that even those people who are saved by grace can be locked out of entrance to the Kingdom, though I still don’t quite understand how that would work. But in this case, that’s not what Toby’s talking about. The Keys to the Messianic Age, the keys that Jesus gave Peter, was the power and authority to pass on the teachings of Jesus to others, including subsequent generations. This dovetails into the central message of Jesus which is “repent, for the Kingdom of Heaven is at hand” and the core teachings of a number of other recent FFOZ TV episodes. You won’t really understand a lot of what Toby teaches unless you’ve seen those shows. Up until now, I experienced almost everything in the episode as repeated information or a quick review of what has been taught before, but with the second clue, the show took on a very different direction. Clue 2: The Key of David. I’ve read the Book of Revelation just recently, but I never picked up on the key of David and certainly never made the connection to the Keys of the Kingdom. As Toby was talking, I thought again about where these connections in scripture come from. How do Toby and the other teachers at FFOZ arrive at some of their conclusions and associations? It would be helpful to have that information on tap, especially in order to study more in-depth. Clue 3: The traditional Jewish interpretation of Isaiah 22:22. But what does this scripture say? I will place the key to the House of David on his shoulder; he will open and no one will close, he will close and no one will open. A teacher opens a discussion of scripture to fulfill that which is said in Isaiah 22:22. When Yeshua finished saying these words, the crowd was astonished by his teaching, for he was teaching them as a man of authority, and not like the scholars. Apparently, it was Jesus’s desire to pass that authority along to one of his disciples, Peter. That actually makes sense. In first century Judaism, the primary job of a disciple was to memorize the teachings of his Master in order to pass them along to the next generation and beyond. This job was specifically given to Peter, although all of the Master’s disciples would share in the responsibility. How did Peter fulfill this task and wield the Keys of the Kingdom? To be the first to preach the Gospel to Jews (Acts 2). To be the first to preach the Gospel to Gentiles (Acts 10). To participate in making important decisions for the body of believers (Acts 15). Peter isn’t a gatekeeper passing in or locking out people from the Messianic Age. He was the first one responsible for passing on the teachings of Jesus. He was given power and authority to perform this task by receiving the Keys of the Kingdom from Jesus. It’s a task, Toby tells us, that all of us as believers must share; to learn, memorize, and teach what Jesus taught. Through the Holy Spirit, we too have been given power and authority…and responsibility. Pretty much everything from the second clue on was news to me. I’d have never made the association between Matthew 16:18-19, Revelation 3:7-8, and Isaiah 22:22. I also wouldn’t have known about the traditional Jewish interpretation of Isaiah 22:22 that folds back into what Jesus said to Peter and then later to John in Revelation. Toby showed me how important Peter’s early contributions were in setting the stage for everything that followed. Something else was made apparent to me (though of course, I always suspected it) in this episode as evidenced by the third clue. In using the traditional Rabbinic Jewish interpretation of Isaiah 22:22 (as opposed to the plain reading of the verse), part of what I think FFOZ is saying is that, in order to understand the Jewish perspective on the teachings of Jesus, the New Testament, as well as the rest of scripture, we have to be willing not only to look through that Jewish lens and accept what we see as accurate, we also must be willing to accept the whole of Judaism as a valid perspective in a Christian understanding of the Bible. I know that would probably get the attention of my Pastor, and not in a positive way. 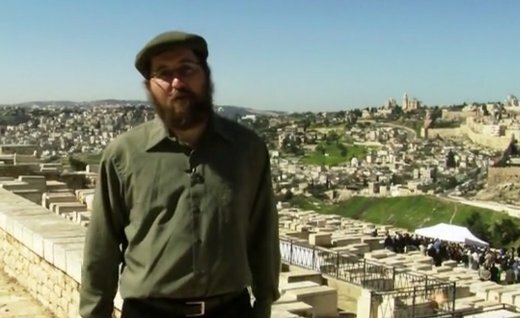 He has a deep respect for the place of the Jewish people in history, prophesy, and in the future age of Messiah and beyond, but not necessarily modern Judaism with layer upon layer of Rabbinic custom, interpretation, and practice that seem, from his Christian point of view, to stray far and wide away from the text of the Bible. He believes the actual scriptures are the final authority as we can understand them through accepted exegesis, but factoring in traditional Judaism and it’s interpretation of that text by the Rabbis may be too far for him, and many Fundamentalists and Evangelicals to go. I am drawn to and even fascinated by the Rabbinic sages and find many of their commentaries to be compelling guides to understanding God and a life of Holiness, but I will also be the first to urge caution in accepting all Rabbinic commentary as being unerring in its understanding and presentation of God and human beings. It has been said to me before not to seek Christianity and not to seek Judaism, but to seek an encounter with God. It is with God that all truth resides. It is because human beings see so imperfectly that we require various lenses in order to examine God’s truth and God’s Word. I very much enjoy and appreciate looking through a Jewish lens in order to view Messiah better, but I will still use critical judgment in examining anyone’s commentary on Messiah and God, including the revered Jewish sages. Did the FFOZ presentation also happen to include the fact that this expression about opening, such that no one can shut, or shutting, such that no one can open, which is also stated in an alternative wording in Matt.16:19 and Matt.18:18 using the concepts of binding and loosing (part of which you cited above from the DHE gospels as forbidding and permitting), is the traditional rabbinic formula of ordination (s’micha) that grants halakhic authority to determine what is to be forbidden or permitted? It is also sometimes described as the ability to make the clean to be unclean and the unclean to be clean. The point is that these are all expressions of the same notion, which is the conferring of authority from a rabbi to his disciples, as a recognition that they have learned what was required of them and should henceforth be able to apply it and teach it to others. It is these same authorization keys to “malchut ha-shamayim” (the kingdom of heaven) that Rav Yeshua said in Matt.21:43 would be taken away from the chief priests and Pharisees of that era and given to others who would produce the corresponding fruit. We see, of course, in Matt.23:1-3a that such a warning was not deemed a general blanket condemnation against all scribes and Pharisees, but was rather directed only against those who did not demonstrate the “fruit” or behavioral results that are commensurate with the values of that kingdom. I mention this to remind folks that the expression about keys to the kingdom of heaven is not limited to Rav Yeshua’s disciples but that there is a broader authorization context to consider. Yes I have, Alfredo. My Pastor isn’t one of Tsvi’s biggest fans. I lent Pastor a copy of an issue of Messiah Journal that contained an article written by Tsvi. Tsvi was critical of traditional Christian missionary work with Jewish people in Israel. My Pastor was a missionary most of his life before becoming a Pastor and was a missionary in Israel for fifteen years. Not sure Pastor would be interested in reading anything else by Tsvi. …is the traditional rabbinic formula of ordination (s’micha) that grants halakhic authority to determine what is to be forbidden or permitted? From the announcement for next week’s episode related by Boaz at the end of the show, I get the feeling they’ll cover that topic then, so we’ll have to wait until my next review to see, PL. It is these same authorization keys to “malchut ha-shamayim” (the kingdom of heaven) that Rav Yeshua said in Matt.21:43 would be taken away from the chief priests and Pharisees of that era and given to others who would produce the corresponding fruit. We see, of course, in Matt.23:1-3a that such a warning was not deemed a general blanket condemnation against all scribes and Pharisees, but was rather directed only against those who did not demonstrate the “fruit” or behavioral results that are commensurate with the values of that kingdom. I mention this to remind folks that the expression about keys to the kingdom of heaven is not limited to Rav Yeshua’s disciples but that there is a broader authorization context to consider. We’ll see, Alfredo. We’re meeting tonight and our plate is pretty full already. Thanks.